Samsung Electronics has just announced that its future products will be more eco-friendly than ever thanks to a new plan the involves replacing plastic packaging materials with paper and other environmentally sustainable elements. 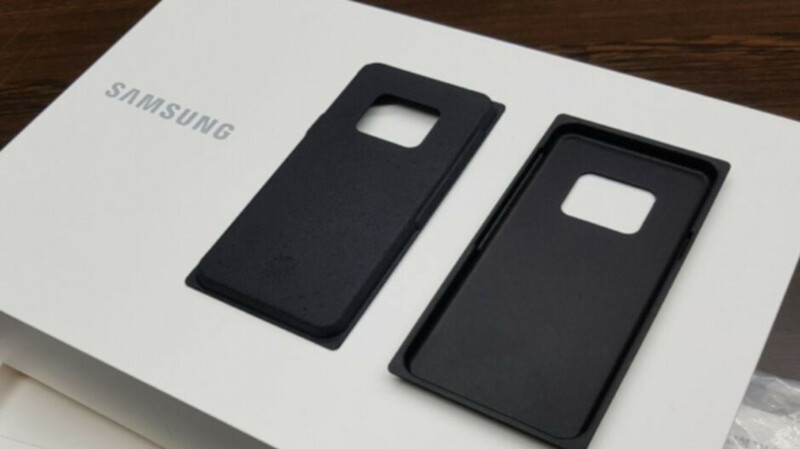 According to the South Korean company, starting from the first half of 2019, Samsung's products and accessories, including mobile phones, tablet, and home appliances will feature packaging made from sustainable materials such as recycled and bio-based plastics and paper. More precisely, phones, tablets, and wearables will come with pulp molds instead of holder trays made of plastic, while bags wrapping accessories will be made of eco-friendly materials. In addition, Samsung said that it will change the phones charger design but replacing the glossy exterior with a matte finish, thus removing completely any plastic protection films to reduce the use of plastic. Finally, the paper that Samsung normally uses in packaging will be made of fiber materials certified by environmental organizations. All of the above will be implemented by a special task force that will take care of design and development, marketing and quality control for packaging. More of this please! We really need more companies across different industries to adopt eco friendly practices. Hidding behind eco to save costs, same as apple, we worry about environment bs. From GSMArena's article https://www.gsmarena.com/samsung_goes_green_ditches_plastic_packaging_for_more_sustainable_materials-news-35255.php "According to Gyeong-bin Jeon, head of Samsung’s Global Customer Satisfaction Center, the transformation has received a green light, and the Korean company will fully commit, even if it means an increase in cost." Good try though Kenne. how do you know that eco friendly material is cheaper to produce?? If it was cheaper then everyone would adopt eco materials and practices. Plastic is generally cheaper to use hence why retailers still use plastic bags, plastic straws, plastic packaging on their products etc. Any company that adopts eco practices should be commended regardless of their intentions. The amount of plastic in our seas, that pollute the earth and harm animals is at an astronomical level and its about time humans take steps to heal the damage we have inflicted to our own planet. Very nice. It's the little that shows a company cares. Good, any initiative to reduce plastic waste is a good one. Bio based inks are a great one as well. Props to Samsung.